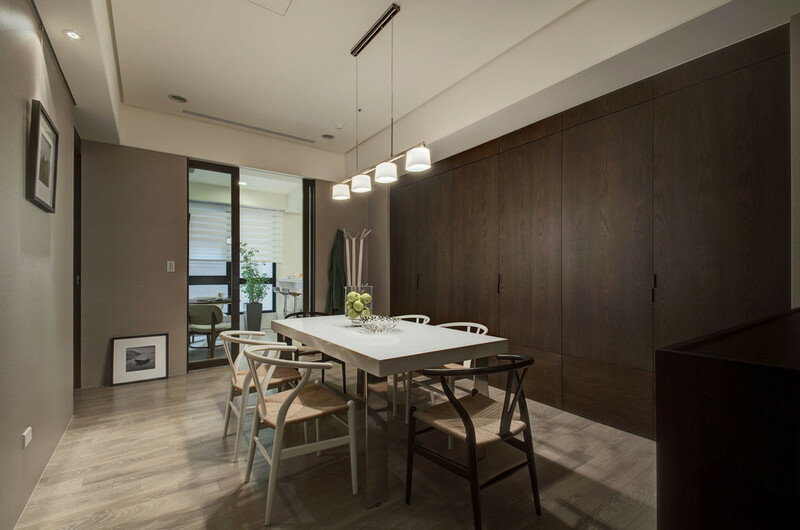 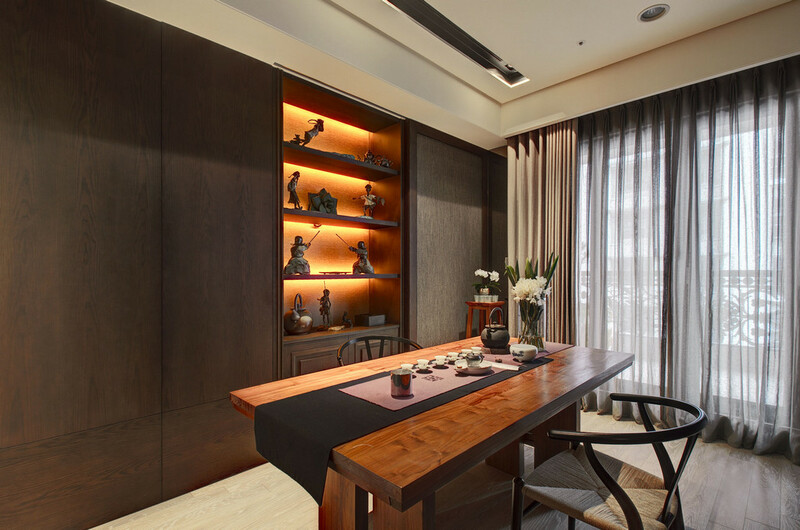 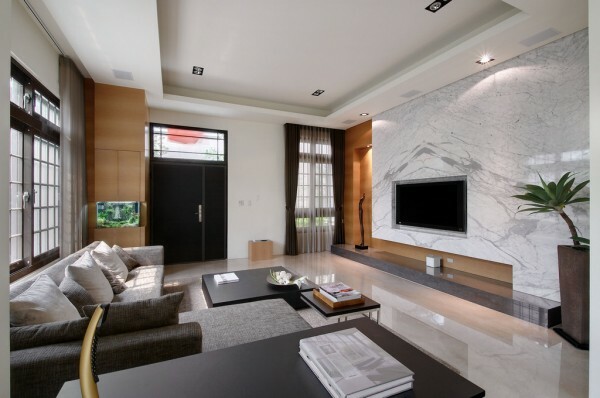 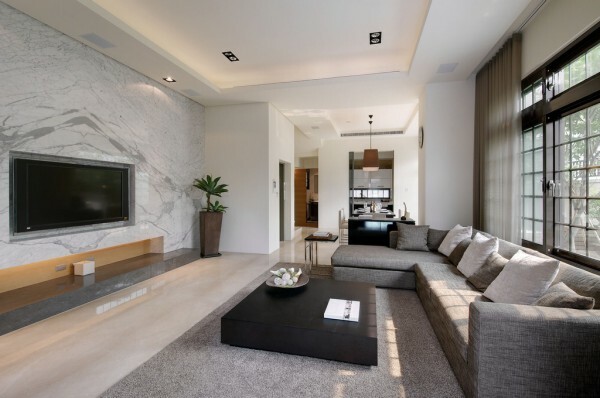 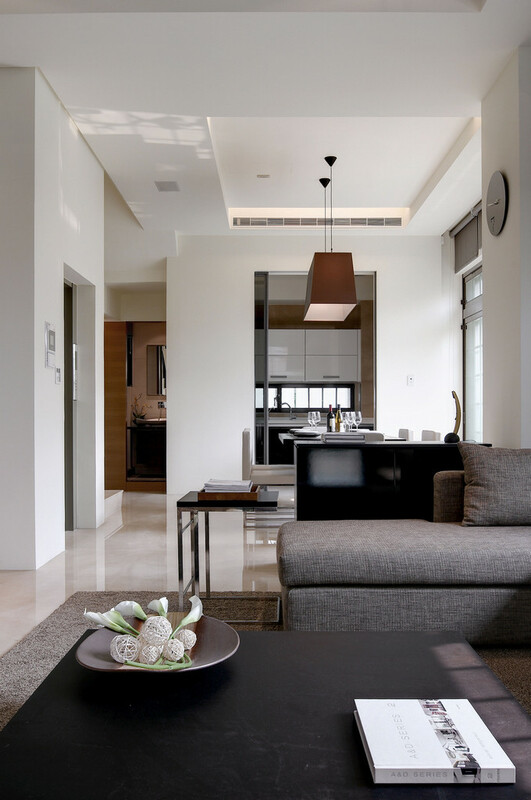 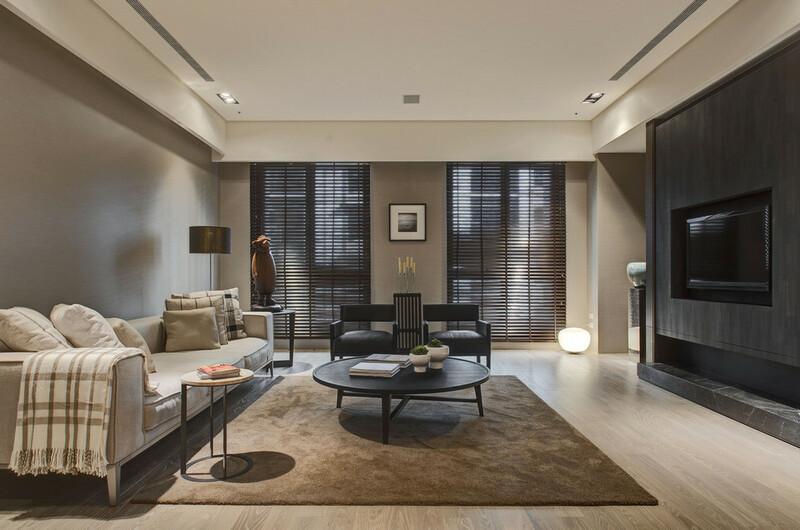 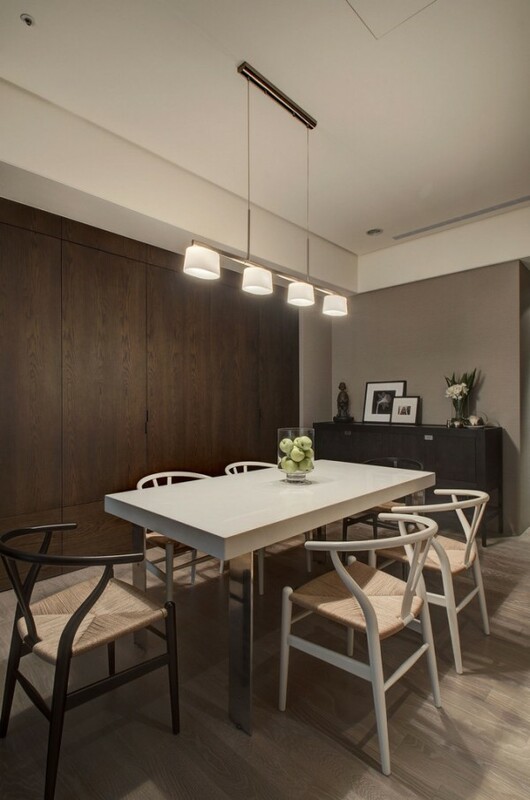 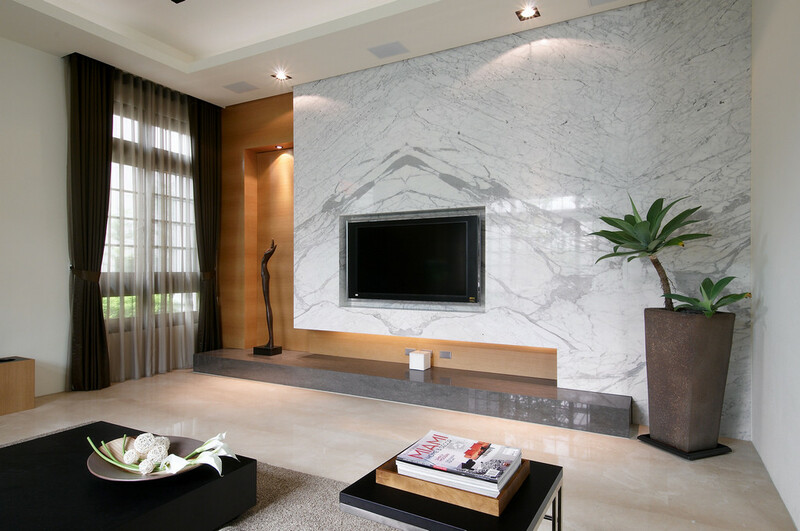 These two modern apartments, designed by Home Designing readers WCW Interior Studio, from Taiwan, feature crisp furniture selections, deluxe marbled bathrooms, and streamlined entertainment walls that would look great in all different kinds of home styles and sizes. The first living room we come to is decorated in subtle shades of gray, a gentle yet modern neutral that would be a sympathetic décor choice for a home built in any period. 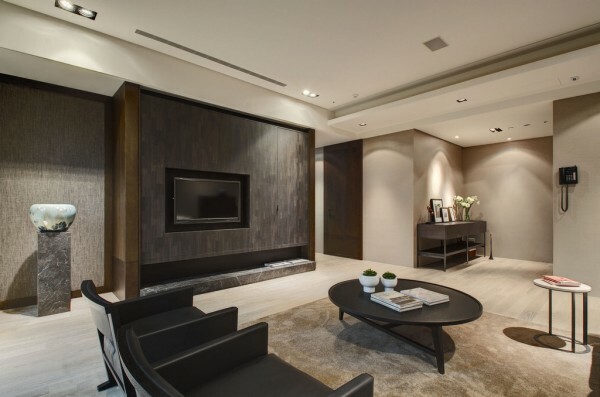 This particular example is a contemporary scheme with crisp L shaped sofa design, low-line coffee table and an entertainment wall that offers a recess for a flatscreen television. A long hearth decorates the foot of the feature wall, which has a soft lighting arrangement that illuminates a letterbox recess where ordinarily a fireplace might be situated. 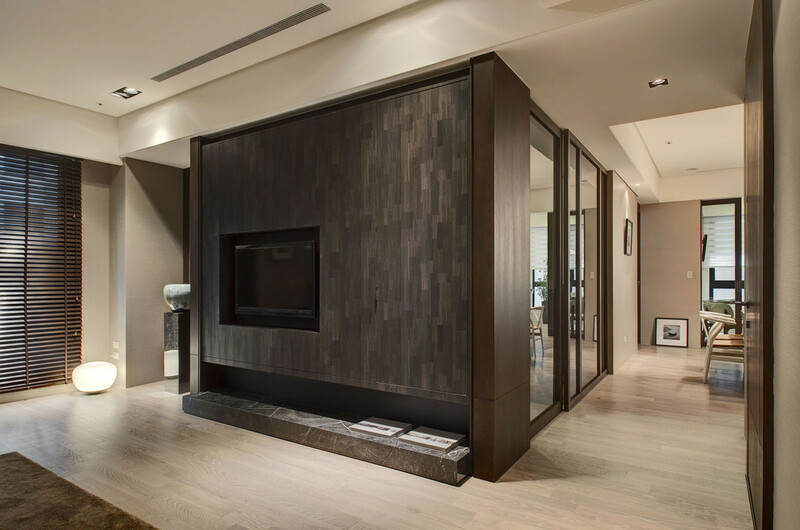 The adjacent alcove too is illuminated, drawing attention to the warm wood cladding and featured sculpture art. 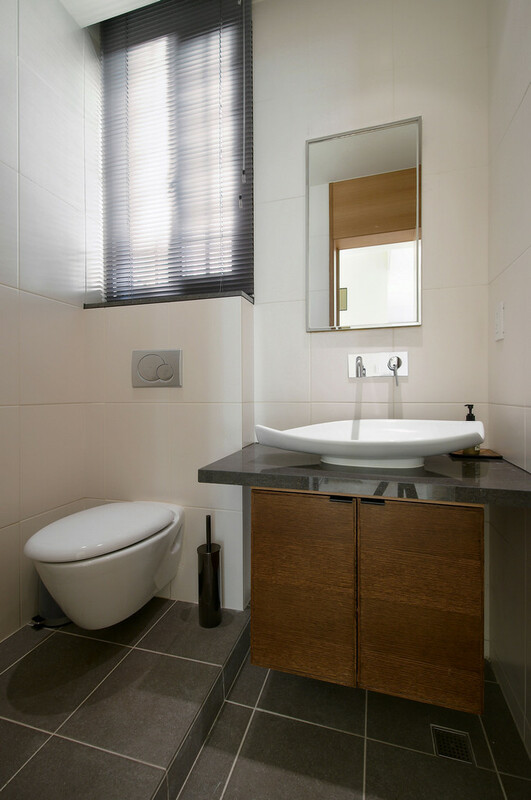 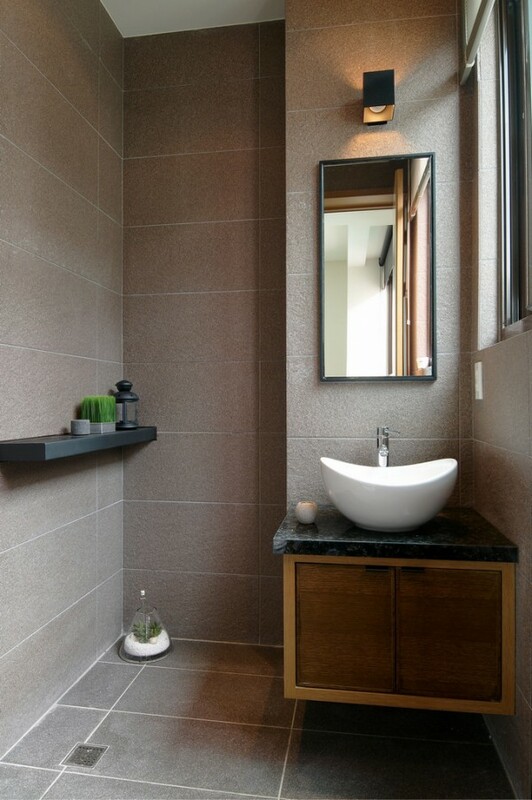 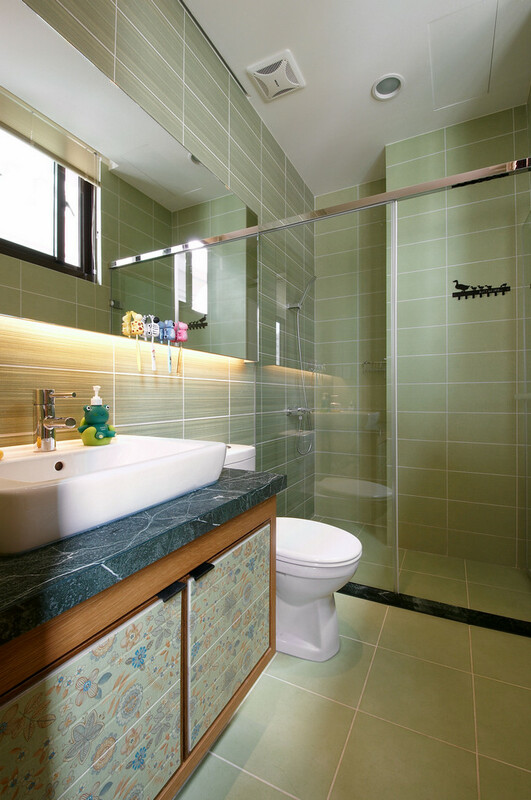 In the bathroom, The toilet cistern has been concealed in a small false wall to give a streamlined look, and the furniture is all suspended off the floor. 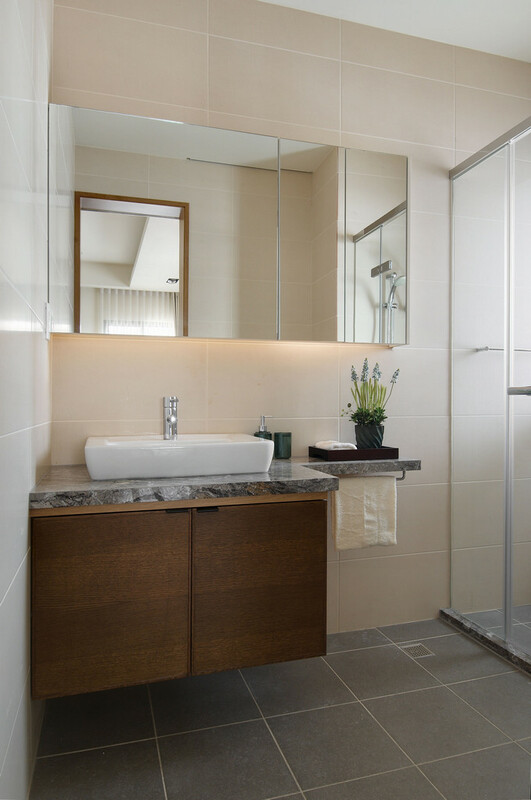 These uncluttered options are great for smaller bathroom designs, as more visible wall and floor space tricks the eye into believing the area is larger than its actual modest dimensions. 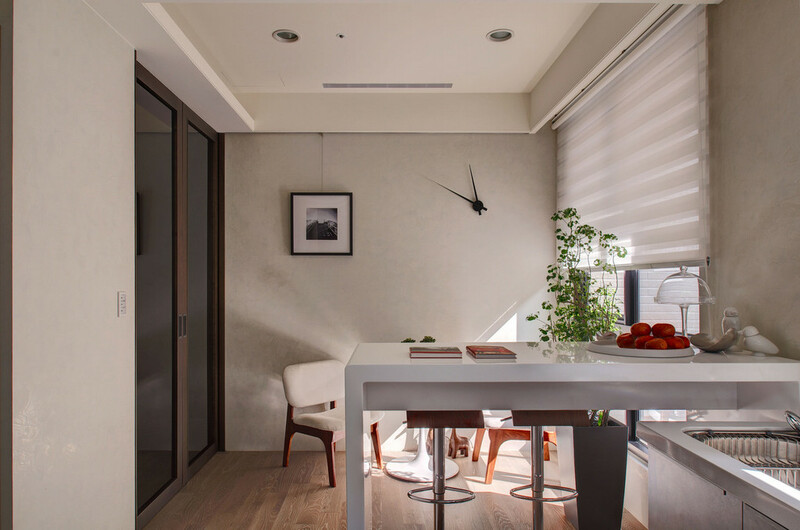 This home office layout incorporates a daybed/chaise lounge where ideas can be hatched in comfort. 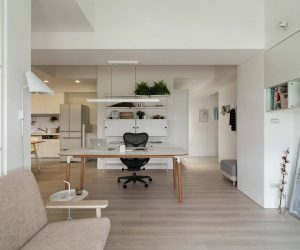 It’s a nice idea to have a place to kickback in a home workspace-just don’t make the area too comfortable or you might find yourself not getting much work done. 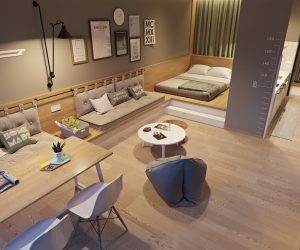 Though, this resting place may have been reserved for a certain bone loving furry friend, judging from the novelty cushion and canvas picture beyond! 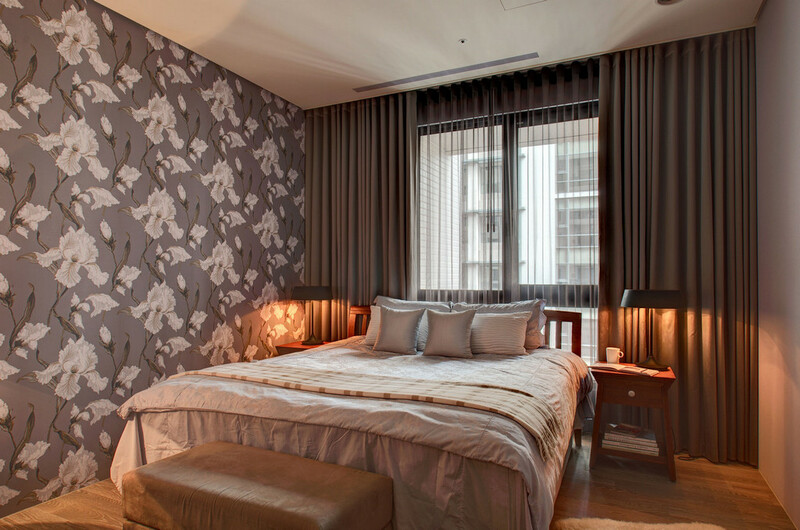 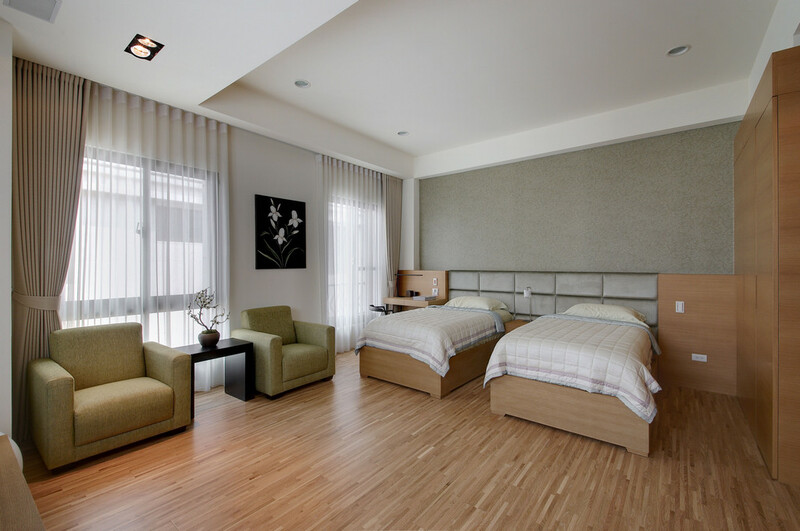 A padded headboard feature wall has been created using simple upholstered rectangles. 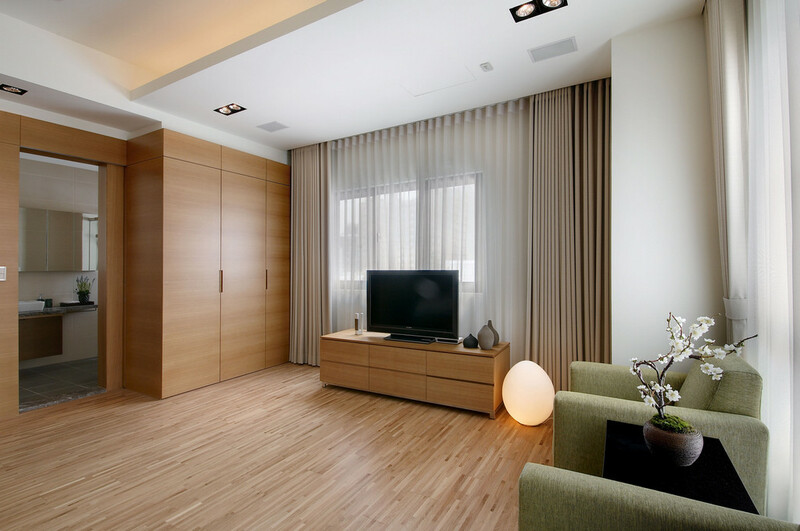 Large wall decals are quick but effective. 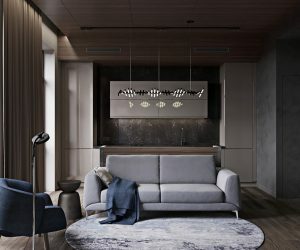 Another beautiful apartment with a flush lighting scheme, and a feature wall that does not demand a fireplace. 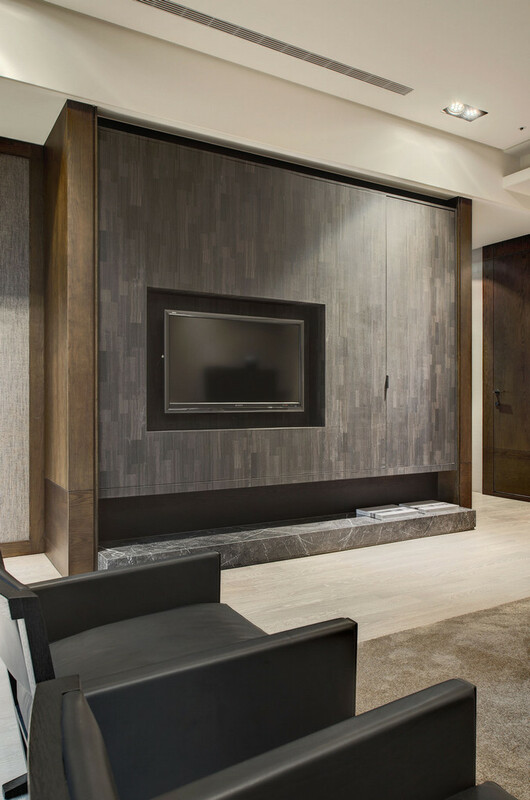 This type of focal wall provides a great solution for homes that are not equipped with the necessary setup for installing a working fireplace, and this design ingeniously incorporates concealed storage that’s perfect for hiding away DVDs and games too. 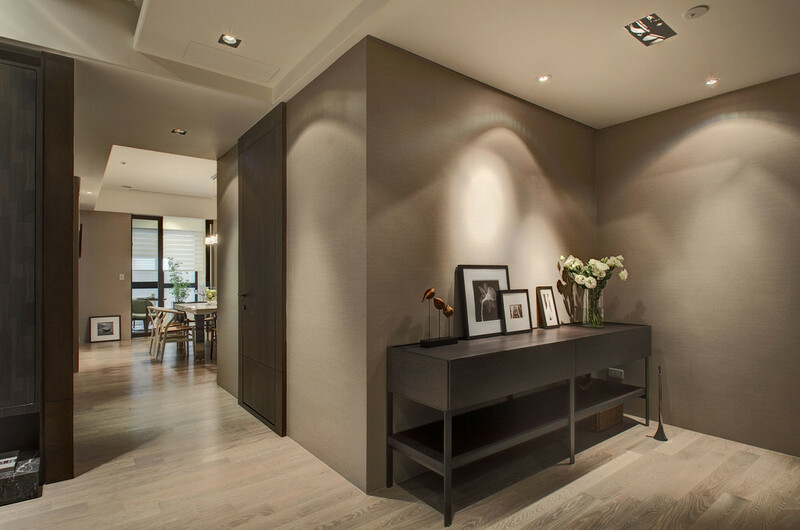 Streamlined cabinets form not only storage, but a gorgeous wall treatment. 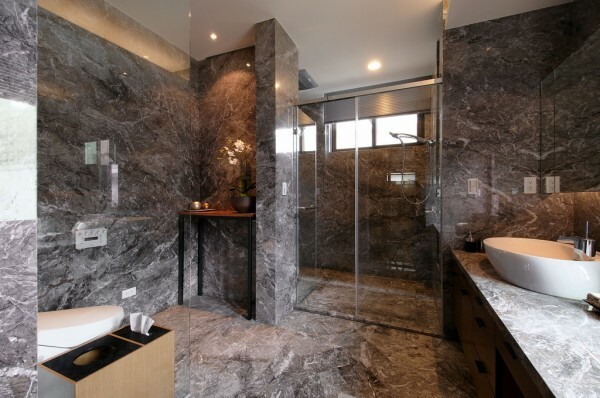 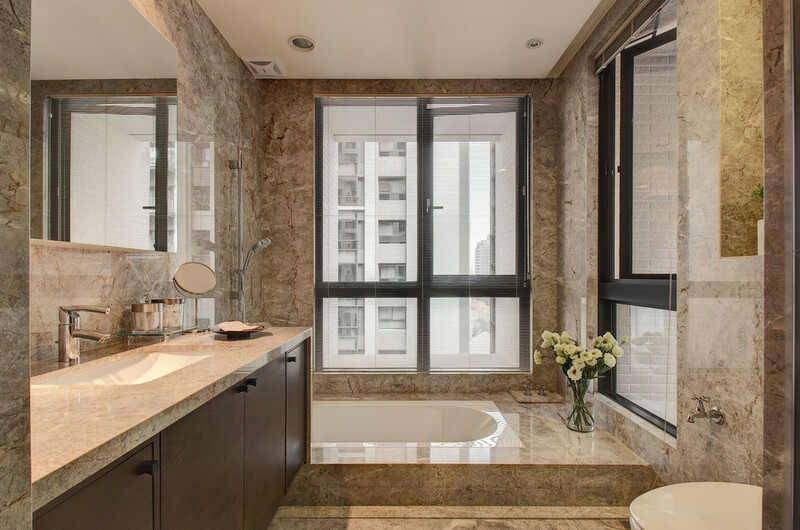 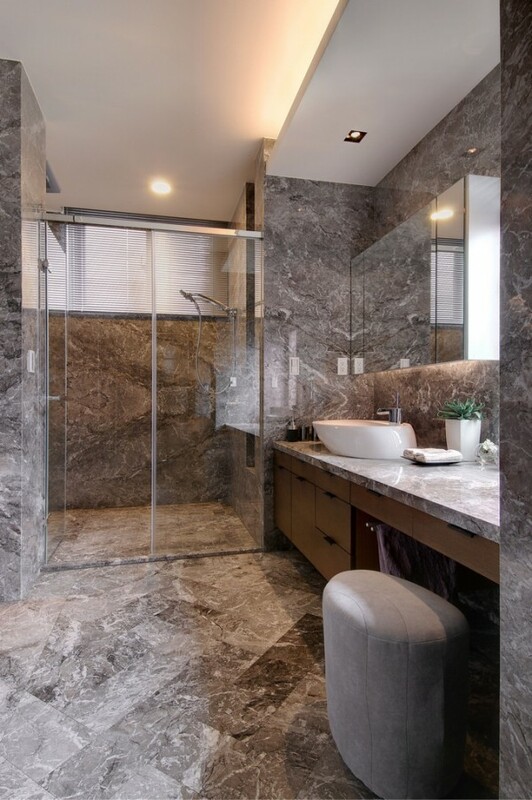 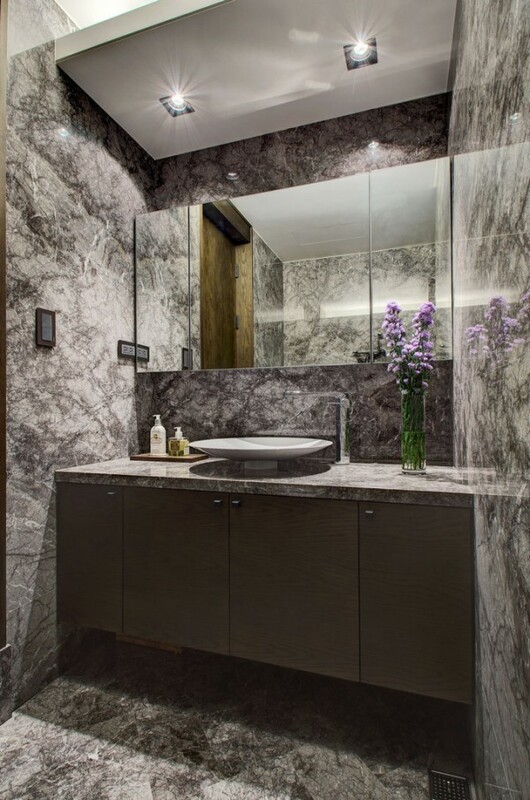 Another bathroom is clad from top to toe in marble for a seamless look of luxury, and a sunken bathtub allows the eye-line to continue across the room to the window without obstruction, which increases the feeling of space.